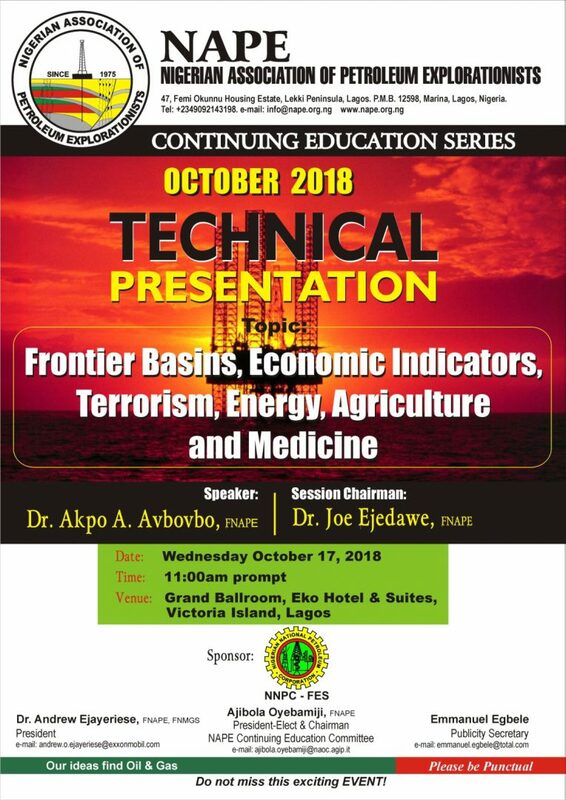 The Lagos October Technical/Business Meeting was held Wednesday 17th October 2018 at the Grand Ballroom, Eko Hotel & Suites, Victoria Island, Lagos. The speaker of the well attended meeting was Dr. Akpo A. Avbovbo. For the Presentation, Click Here.